Though I live in Los Angeles, there are still so many places to explore. 2 weekends ago, I made a trip to Korea Town specifically for Tteokbokki. 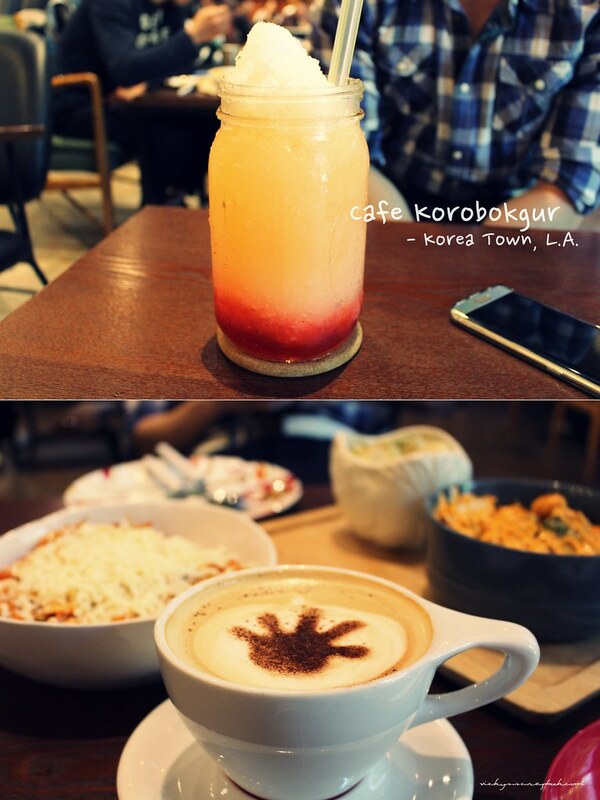 We stopped at the Cafe Korobokgur, which reminds me of the many cafes I visited back in Korea. We ended up with 2 drinks and 2 dishes: tteokbokki, which we came all the way for, and a rice bowl mixed with spicy mayo. The cafe is more Asian fusion style versus traditional Korean so there were also pastas on the menu. The location of the cafe is a bit off the route from where we were headed to next but it was worth it. The Getty Center was our next stop. There were quite a few exhibitions open that day and entrance was free. Of course inside the exhibitions, photography was prohibited so I only have photos of the exterior gardens and sculptures. 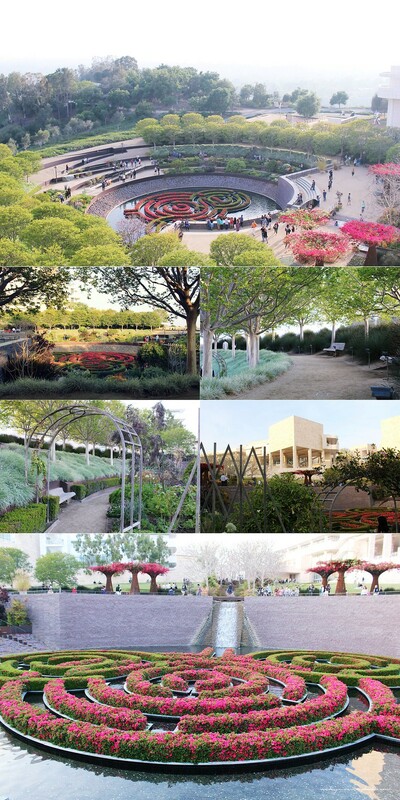 The Getty Center also features a large garden, the Central Garden, which was very beautiful up close and from afar but once I started walking through the circular pathway to the center, there were lots of mosquitoes. I’m not a bug friendly person so it took quite an effort to reach the middle where the little waterfall was located. The whole Getty center overlooked Los Angeles and the view from up there was very breathtaking (up close, L.A. is not so beautiful). Have you been to L.A. and what’s your favorite place to explore? 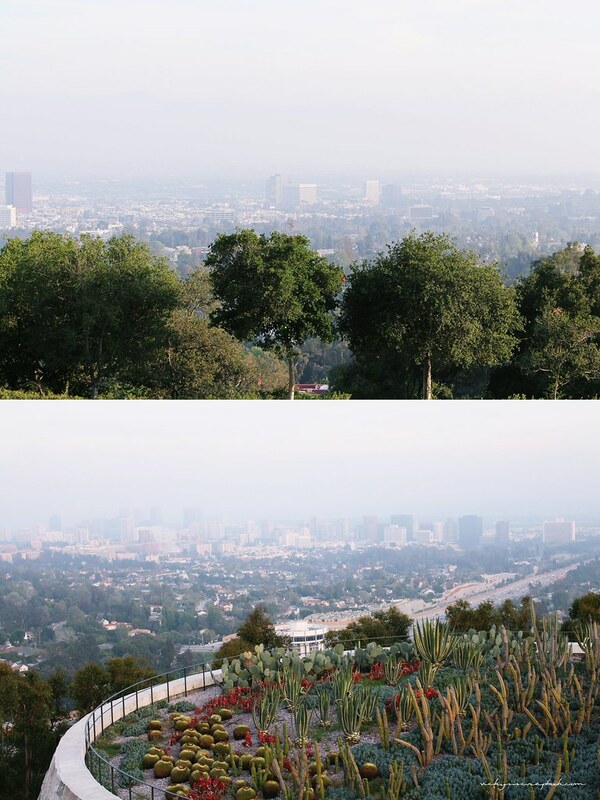 The Getty Centre gardens look so beautiful. Inside must be equally as lovely Vicky. 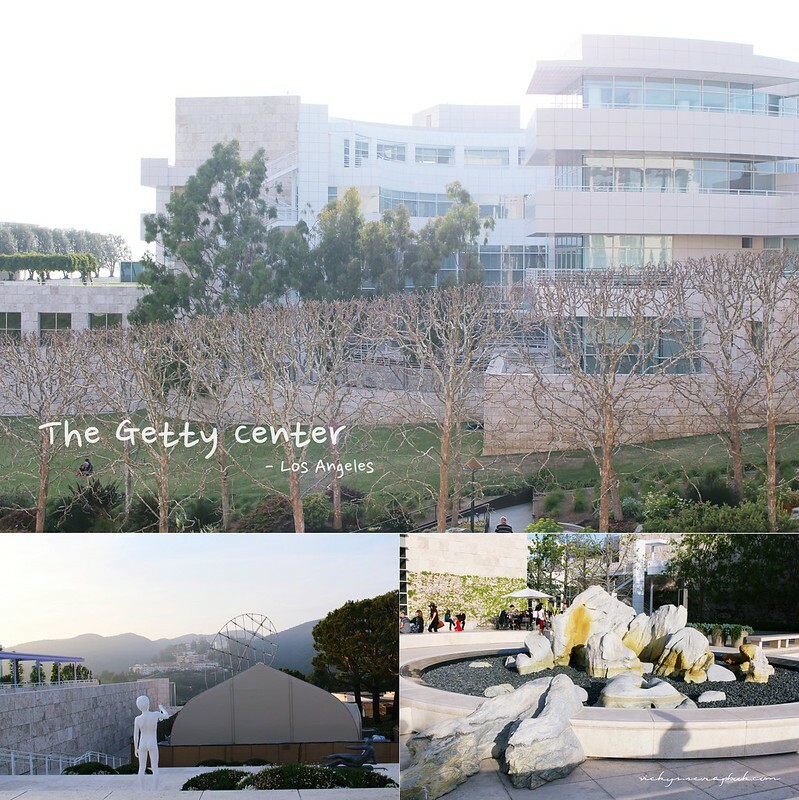 The Getty Center seems like an amazing cultural institution to visit. What drew you to it ? It’s a great find. These are some beautiful shots! I nominated you for the beauty blogger award.